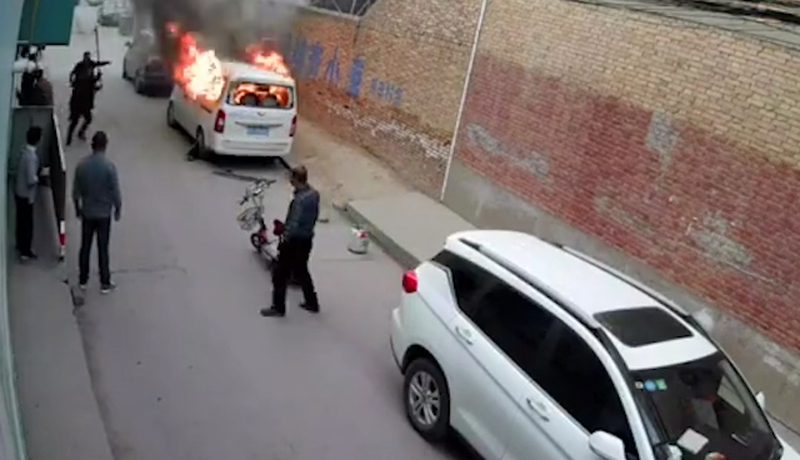 This is the horrific moment a propane cylinder explodes inside a delivery van and burns the driver alive in front of a group of schoolchildren and their parents. 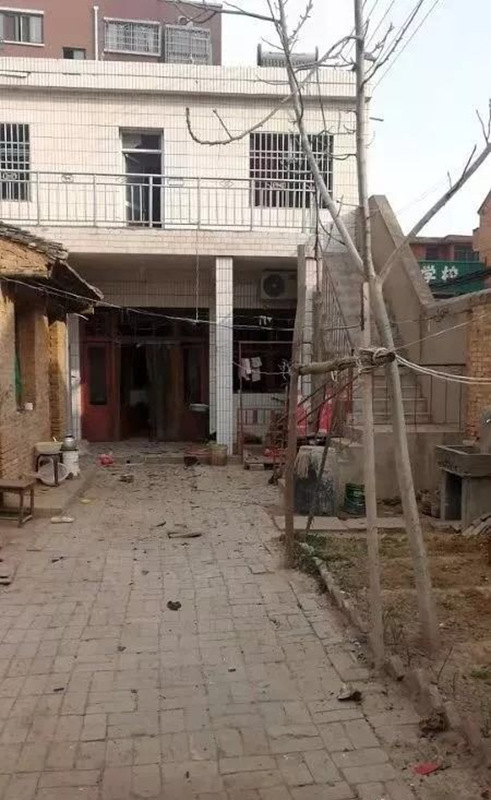 CCTV footage from Liquan County, which is in the city of Xianyang in north-western China’s, shows the group of kids and adults walking through a narrow alley when the blast happens. 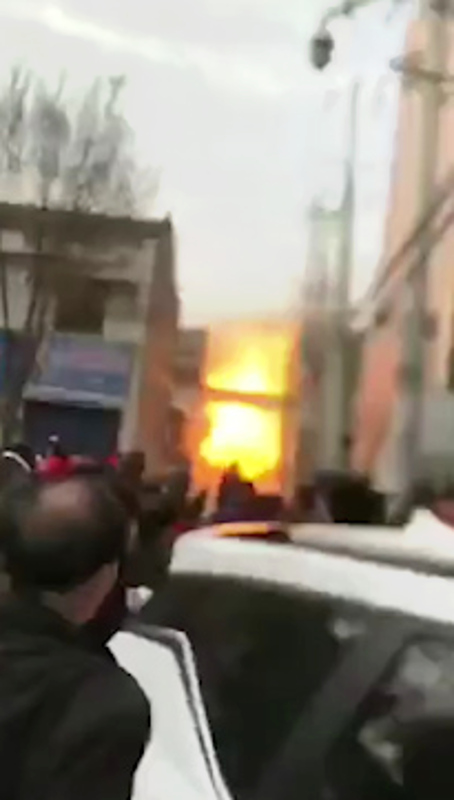 Fire can be seen shooting out from all corners of the van during the explosion, which startles the nearby children and their parents. 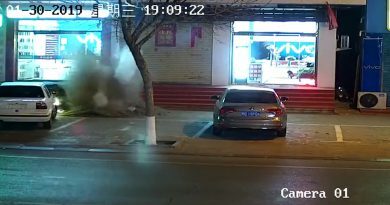 As nearby residents begin gathering around, smoke can be seen rising from the vehicle and panic ensues when they realise the driver is still trapped inside. 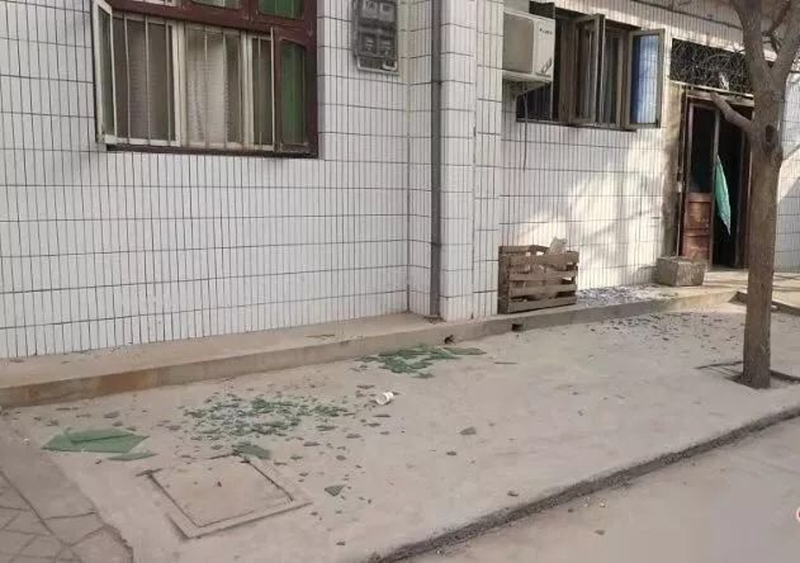 Witnesses begin frantically trying to open the doors of the van, but when that fails they start smashing the windows. 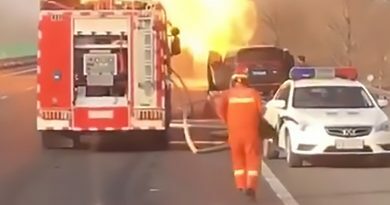 However, they are not able to free the driver whose faint screams can be heard as the entire vehicle is engulfed in flames. 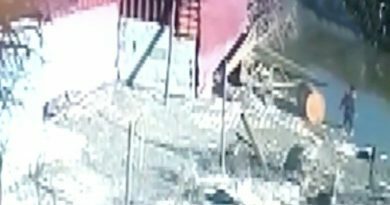 Footage shows the blaze growing to some 15 feet high when a second blast occurs, shattering windows within a reported 150-foot radius and sending witnesses ducking for cover. 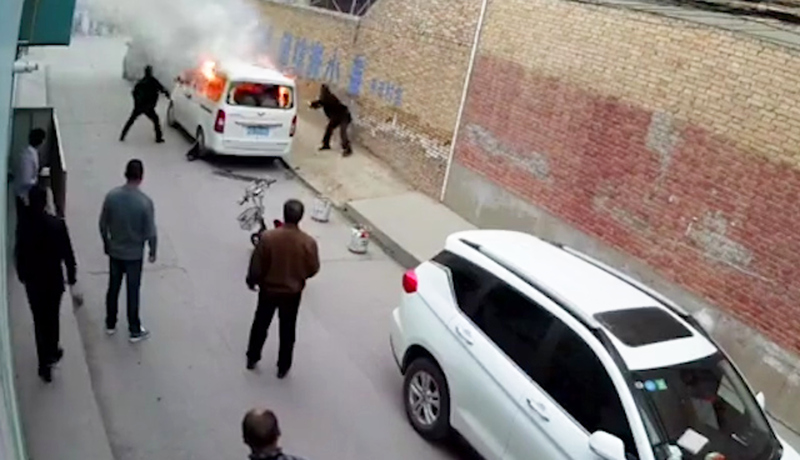 The blaze was eventually put out by arriving firefighters, but the van had already charred to its shell, reports said. 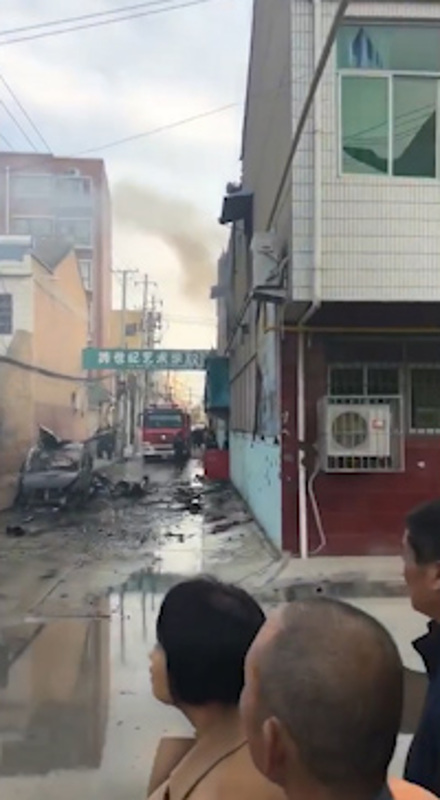 The authorities have confirmed one victim died in the incident without explicitly naming him as the van driver. The van is understood to have been delivering at least one cylinder of propane gas used for cooking. 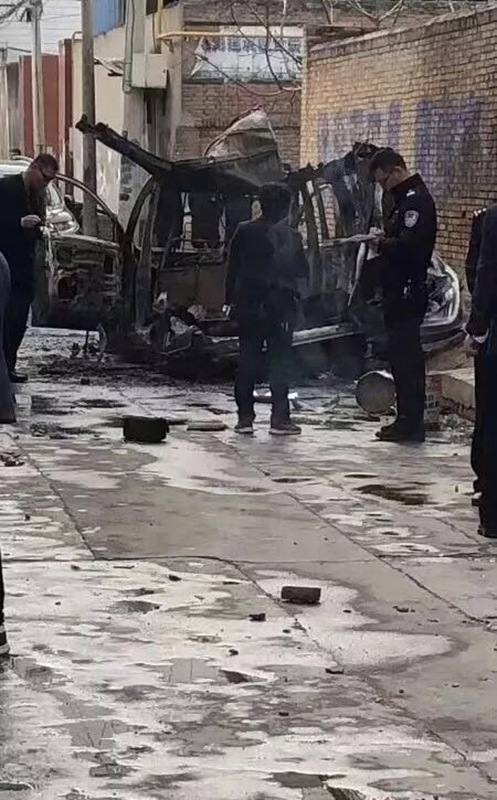 However, it is still unclear why the explosion happened as authorities begin to investigate.